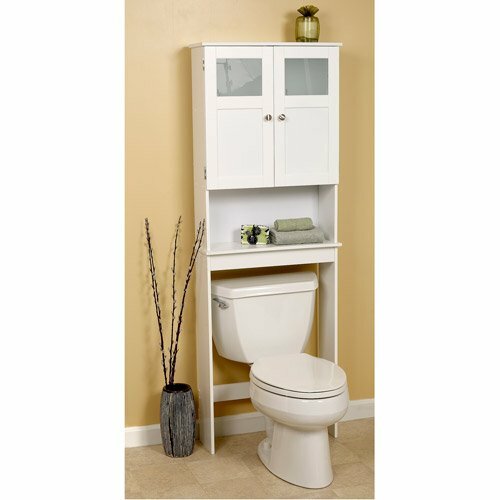 Store and display items in this Wood Space Saver, which is designed to save space in your home’s bathroom. Featuring a contemporary style, this modern piece of furniture will add an inviting touch to any style of decor. 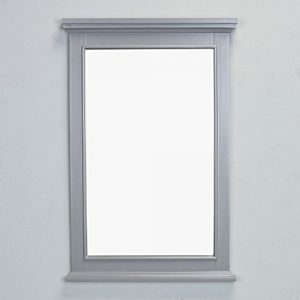 Constructed using wood, the bathroom saver is finished in white, with a tempered glass inlay on the doors. With its modern design, this stylish piece features chrome door pulls with a brushed finish that allow for easy access to the items stored inside. Easy to assemble and easy to care for, this white space saver can be wiped cleaned with a damp cloth. Install this unit above your toilet to add much-needed storage space to a small bathroom. It can be used to store small items such as toilet paper, towels, candles or other bathroom necessities. Wood construction. White space saver with frosted, tempered glass in doors. Chrome door pulls with brushed finish. Add additional space to a small bathroom. Stores small bathroom necessities, such as toilet paper, perfumes, candles or towels. Store and display items in the Wood Space Saver, which is designed to save space in your home’s bathroom. Featuring a contemporary style, this modern piece of furniture will add an inviting touch to any style of decor. Constructed using wood, the bathroom saver is finished in white, with a tempered glass inlay on the doors. 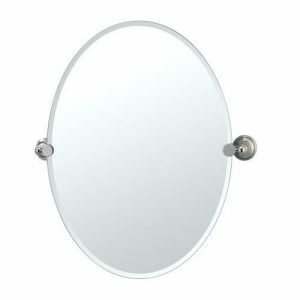 With its modern design, this stylish piece features chrome door pulls with a brushed finish that allow for easy access to the items stored inside. Easy to assemble and easy to care for, this white space saver can be wiped cleaned with a damp cloth. Install this unit above your toilet to add much-needed storage space to a small bathroom. It can be used to store small items such as toilet paper, towels, candles or other bathroom necessities. Dimensions: 67″H x 26″W x 8.4″D. Easy to assemble. 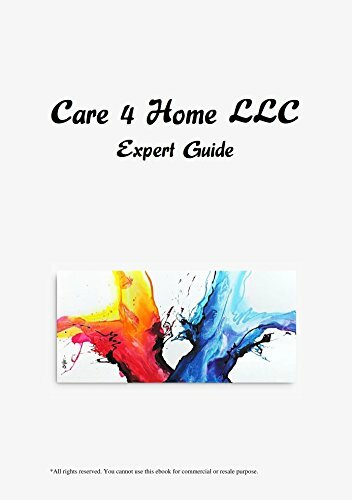 All “Care 4 Home LLC” customers receive our Expert Guide about Home Improvements.